Join us for a Facebook LIVE film screening of TEACHING IN ARIZONA on Friday, December 7, from noon to 1 p.m.
All you need is a screen and a wifi connection to tune in to this engaging virtual event featuring a dynamic panel discussion highlighting some of the important things happening in education in Arizona. 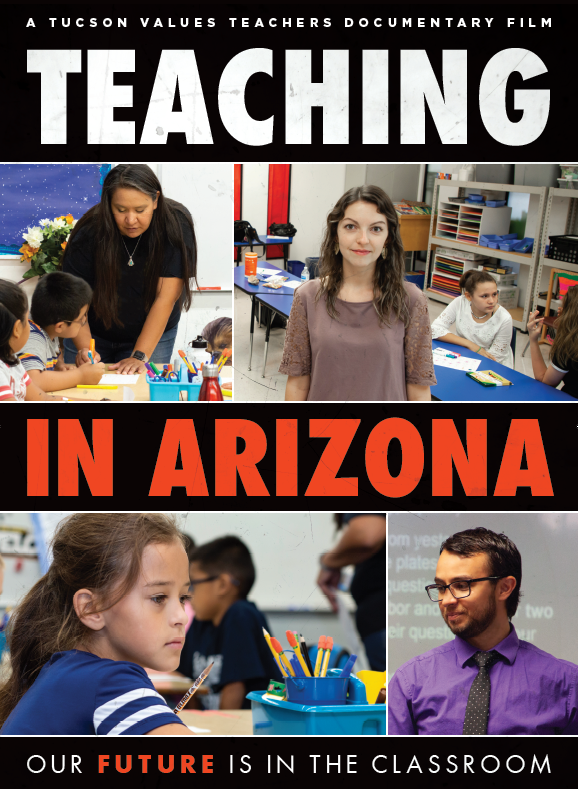 TEACHING IN ARIZONA was created by Tucson Values Teachers to provide an inside look at what it is like to be a classroom teacher. The short documentary film tells the personal stories of three public school teachers in Arizona. These stories shine a light on some root causes of our state’s teacher recruitment and retention issues, including teacher working conditions, in a way that we have not been able to illustrate with data alone.